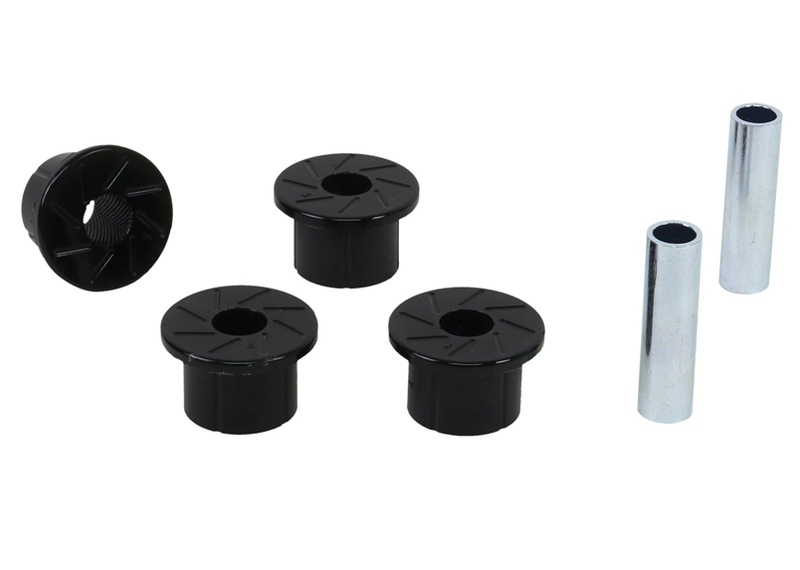 A critical service item for any leaf sprung vehicle. 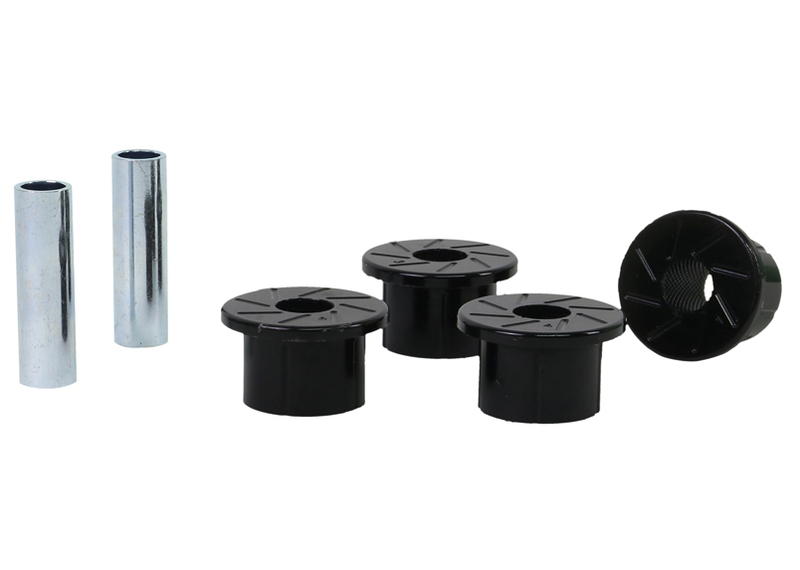 High kilometres and heavy load carrying causes excessive wear on rubber bushings. 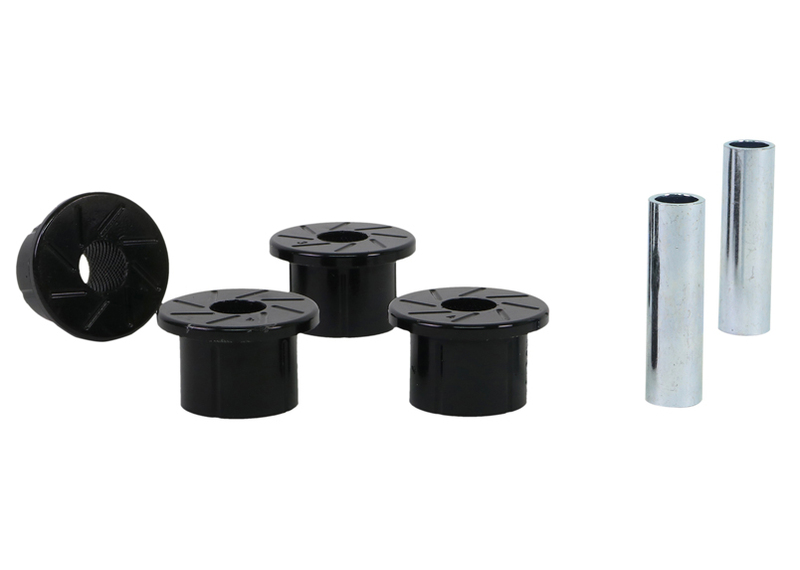 Whiteline's signature black bushings are made tough and offer outstanding abrasion resistance, high load bearing capability (4WD's, utes and towing), flexibility, increased tensile strength and chemical resistance to oil, grease, ozone and weathering. in/lbs 0.728lbs 3" 6" 8"